firstly, why? I catch buses. They get hot, they get cold. Most of all i can't stand when they get stuffy humid hot. I want to log this terrible environment. Imagine if a significant number of the city's public transport users had environment sensors reporting back to the regional council on the actual conditions in our buses? But yeah, let's build that. It's winter, so I'll build it in my hat. Let's put wifi in my hat. Conductive thread is a fabulous modern invention. I bought a large roll from nicegear many years ago. Add some code that changes from blue through to red as the temperature changes - and now I have a smart hat. Version one, i just had the leds change colour with the temperature. But I can't see them on my head. DUH!. So i added wifi. 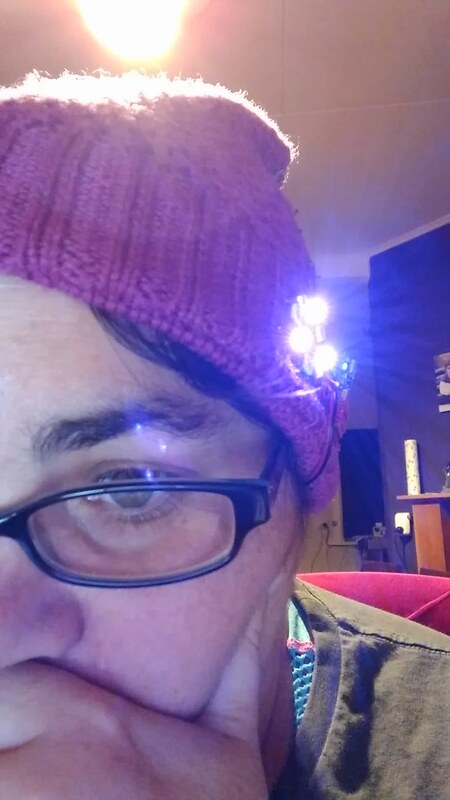 Combined with a wifi board from Digistump, a temperature sensor, and some "neopixels", -- all wired up with conductive thread, i have a smart hat. The sensor live in the hipster floppy bit at the end, so it's not just recording my head temp.